I was recently reading online about many people's struggles with meditation. I am trying to meditate daily, which I have not done for some time. One technique to calm the body and calm the mind is mantra meditation, which is popular among people who hold Buddhist beliefs, although anyone can do it. 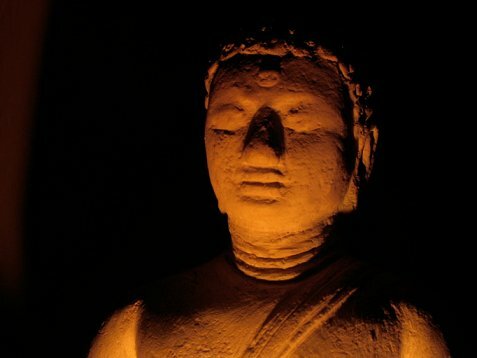 Some people who begin practicing meditation get too caught up in technique, rather than just letting the meditation happen. There really isn't a right or wrong way to meditate, and people who subscribe to Buddhist beliefs or any other beliefs can use meditation, specifically mantra meditation, as a way to focus, reduce stress, increase energy and feel refreshed. Mantra medication does not require a particular mantra. When I began seeing a therapist to help me manage my stress, he suggested that I repeat a mantra and meditate. At that point in my life I knew nothing about Buddhism, meditation or mantras. The mantra he gave me was simply "rahim". I later learned that it is an Arab word that means compassion. The word can be found in the beginning of the Koran, "Bismillah al rahman al rahim," which can be translated as, "In the name of God, most Gracious, most Compassionate." Later, when my therapist saw that these mystery magical words were not doing the trick, he suggested I just meditate on the idea, "I am happy." There are many mantras within Buddhist beliefs that focus on a particular aspect of Buddhism, but I believe that the main reason to have a mantra is to focus yourself during the meditation. For this reason, I believe anyone can use mantra meditation, whether the person has Buddhist beliefs or not. The mantra chosen does not have to be a Buddhist mantra. Focusing on a mantra helps us calm the mind and prevent it from wandering as much. Of course, the mind will still wander, but the mind wanders less when there is a focal point to return to. Choose a mantra that works for you. It can be anything, but pick something with meaning for you. Sit in a comfortable place and position, wearing comfortable clothes. Either repeat the mantra aloud or repeat silently in your mind. If your mind wanders, don't be judgmental. Let the distracting thoughts go and refocus on your mantra. Rinse and repeat. Just kidding, but you should try this for a few uninterrupted minutes each day, and gradually increase the time spent meditating. What mantras, Buddhist or otherwise, do you use? My favorite two are, "I am happy," and "Oṃ Tāre Tuttāre Ture Svāhā." Posted as part of Haiku Heights #57: Lullaby, Recuerda Mi Corazon. I like this! :) Mantras for the restless, and it being a lullaby.. I should try soon I think! Do you suppose a mantra would lull this insomniac to sleep? I just let go of all thoughts and try and feel just those impressions, feelings or instincts are present within me or around me. Lola.....you are absolutely right. If you study Hinduism, you will get many such mantras in Saskrit Language too. Many are just names of Gods here and people chant them. Lot of books written on the importance of chanting. I am sharing the site of my Spiritual Master, whom we call as Sadguru..http://mahayoga.org/ here you will find more interesting info. Please watch his videos too. You will love this subject. Thanks for visiting my blog too. Back in the '70's I took a detour through Transcendental Meditation and learned to practice mantra yoga, but drifted back into Zen Buddhism. My preference for zazen to TM is mainly that doing TM, with eyes closed, I tended to separate meditation from being present in this moment, although I occasionaliy return to mantra meditation in particularly stressful situations. everyone can use a mantra like this to sooth the soul!